As well as announcing the new Sony Xperia SP, Sony also introduced another Android smartphone, the Sony Xperia L which will come with a 4.3 inch FWVGA display and a dual core 1GHz Qualcomm Snapdragon S4 processor. 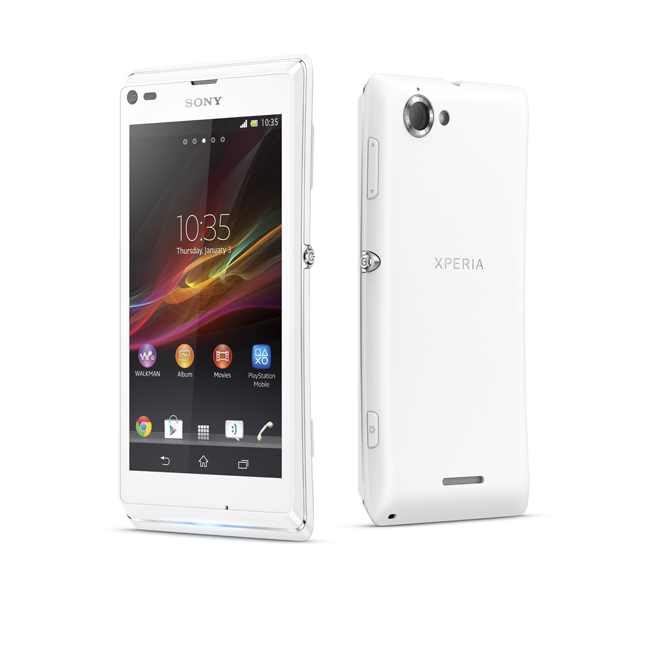 The Sony Xperia L features an 8 megapixel camera with Sony’s Exmor RS sensor, and it also comes with 8GB of built in storage, plus NFC and it will be available in a choice of black, white or red. Sony have not released any pricing information on the Sony Xperia L, the handset will launch some time in quarter two of 2013, as soon as we get some more information on a launch date we will let you guys know.